O’Donovan Productions (www.odonovanproductions.ie) were delighted to film Ciara & Tony’s Wedding which took place in St. John’s Cathedral followed by a reception at the Castletroy Park Hotel. Here are some highlights from their wonderful day. 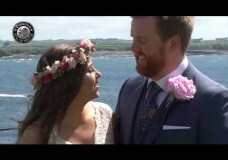 O’Donovan Productions (www.odonovanproductions.ie) were delighted to film Melissa & Eric’s Wedding which took place in Clarecastle Church followed by a reception at The Lakeside Hotel, Killaloe. Here are some highlights from their day. O’Donovan Productions (www.odonovanproductions.ie) were delighted to film Edel & Patrick’s Wedding which took place in St. Mary’s Church, followed by a reception at the Radisson Blu Hotel, Ennis Road, Limerick. Here are some Highlights from their wonderful day. 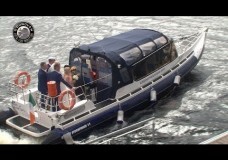 O’Donovan Productions (www.odonovanproductions.ie) were delighted to film Mairead & Kenneth’s Wedding which took place in St. Mary’s Church followed by a reception at The Lakeside Hotel, Killaloe. 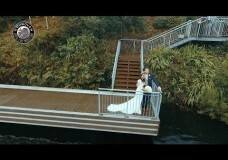 Here are some Highlights from their wonderful day…..
O’Donovan Productions (www.odonovanproductions.ie) were delighted to film Penina & Andrew’s Wedding which took place at the Lakeside Hotel in Killaloe. Here are some Highlights from their wonderful day …. O’Donovan Productions (www.odonovanproductions.ie) were delighted to film Edel & Frank’s Wedding which took place in Corpus Christi Church, Moyross followed by a reception at the Radisson Blu Hotel, Limerick. Here are some Highlights from their wonderful day..
O’Donovan Productions (www.odonovanproductions.ie) were delighted to film Elaine & Aidan’s Wedding which took place in Our Lady Queen of Peace Church Janesboro, followed by a reception at Bunratty Castle Hotel. Here are some highlights from their wonderful day. O’Donovan Productions (www.odonovanproductions.ie) were delighted to film Caríona & Shane’s Wedding which took place in the Church of the Immaculate Conception, Glin, Co. Limerick, followed by a reception in Dromhall Hotel, Killarney, Co. Kerry. Here are some Highlights from their wonderful day.